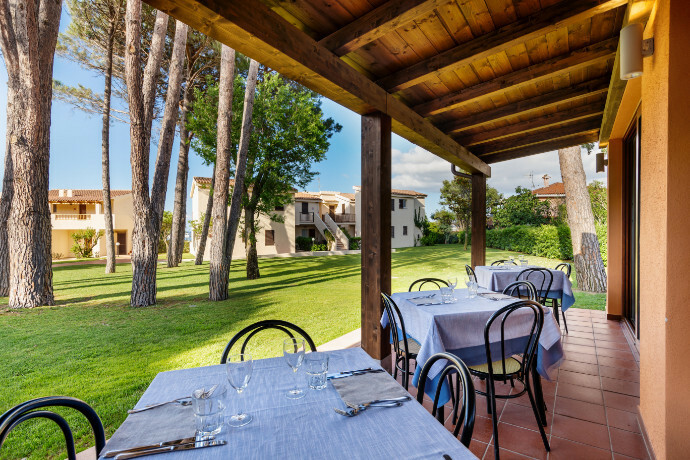 Spoil yourself with this splendid 7-night stay at a 4 Star hotel on the island of Sardinia. 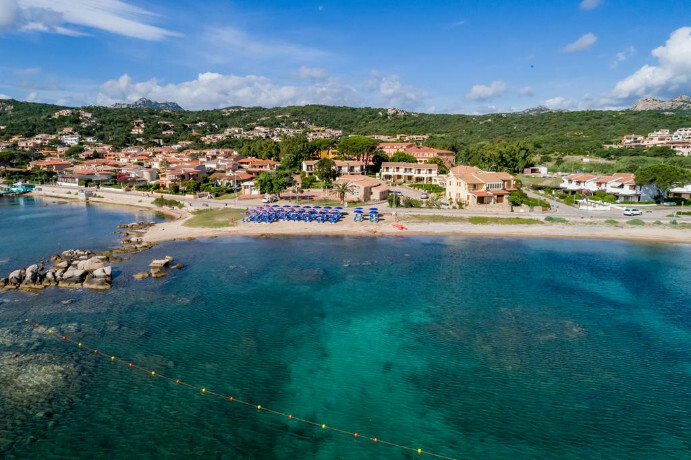 Boasting blissful beaches, timeless rural villages and lushly forested mountains, Sardinia promises visitors a historic and relaxing getaway – far away from the hustle and bustle of back home. The Italian island of Sardinia sits within the Tyrrhenian Sea between the Balearic Islands, the Italian peninsula and Corsica. Boasting nearly 2,000km of coastline, pearly-white beaches and a rugged interior landscape which invites endless wandering, Sardinia is the perfect getaway for beach-hoppers and thrill-seekers alike. 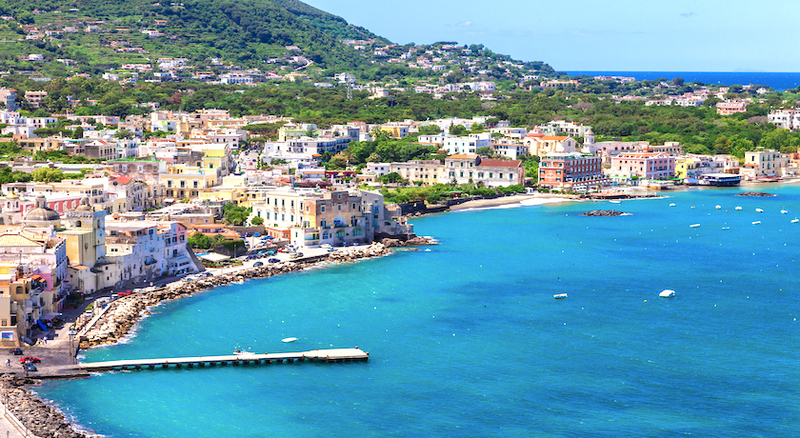 Although certainly picturesque, eye candy isn’t Sardinia’s only redeeming factor – the island is rich in history too! Dotted within its undulating landscapes are thousands of nuraghi (Bronze Age stone ruins which look like beehives) – one of which dates all the way back to 1500 B.C. 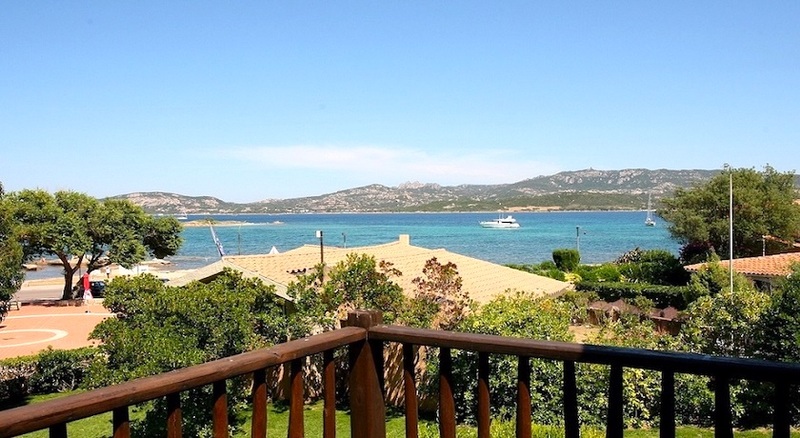 When you’re not combing the countryside for Nuraghi, spend your time flitting between sun-kissed beaches (such as Budoni or Stintino) or island-hopping to the Maddalena archipelago or Asinara National Park, famous for its albino donkey population. 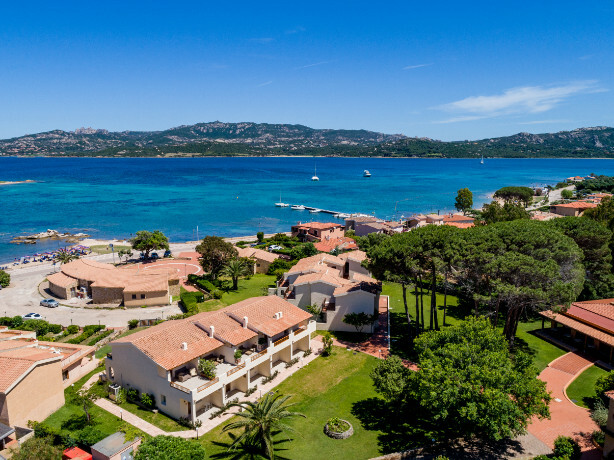 You can also head off hiking in the Monte Limbara mountain range, take to the open seas during a sailing trip along the sparkling Costa Smeralda and cap off fun-filled days with succulent, mouth-watering local cuisine. 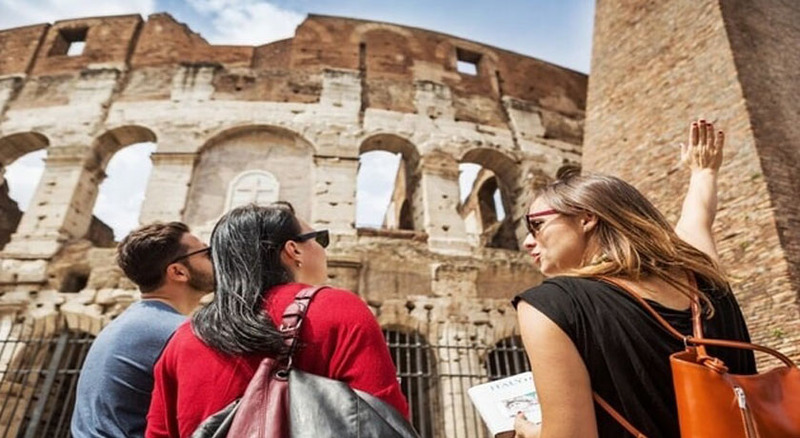 Expect to see plates piled high with culurgiones (similar to ravioli), malloreddus (a type of gnocchi) and salsiccia di cinghiale (wild boar sausage) – you’ll come to realise that restaurants, markets and cafes are an absolute feast for the senses here. 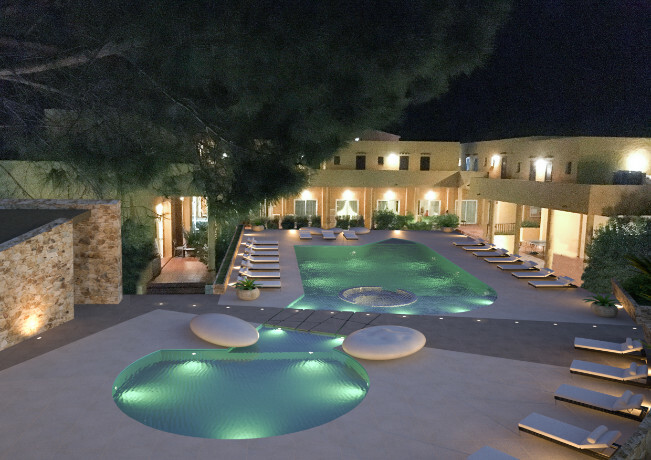 By night, rest your head at the Blu Hotel Laconia Village. 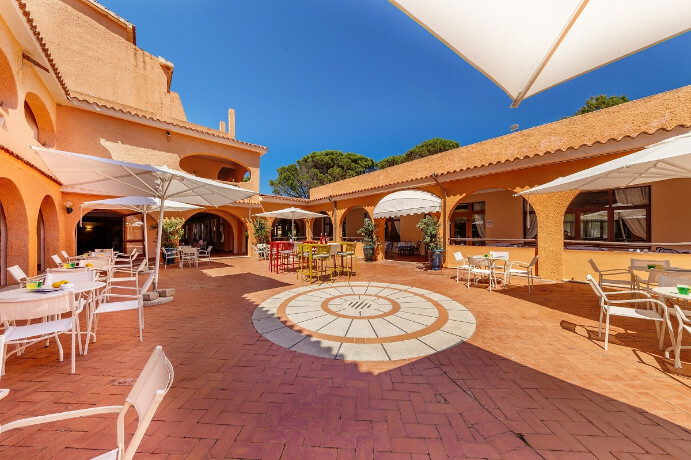 Its convenient location (2km from the centre, 50m from the beach and 15km from bustling Porto Cervo) makes it the perfect place for serendipitous strolls along the shores of the Costa Smeralda and daytime jaunts to dinky Sardinian cafes and local markets. Plant yourself on a sunbed by the twinkling pool or meander down to the beach for a swim. 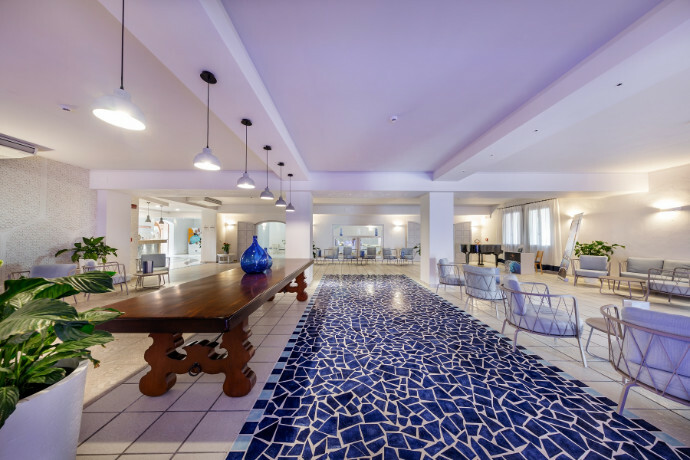 Work up an appetite by taking advantage of the hotel’s extensive sports facilities; try your hand at tennis, football, beach volleyball or bowls to get your blood pumping, before cooling off with a mid-afternoon dip in the teal-coloured sea. A Full-board stay at a high-end 4* hotel! Surrender to the charm of Sardinia, paradise for sun-seekers! 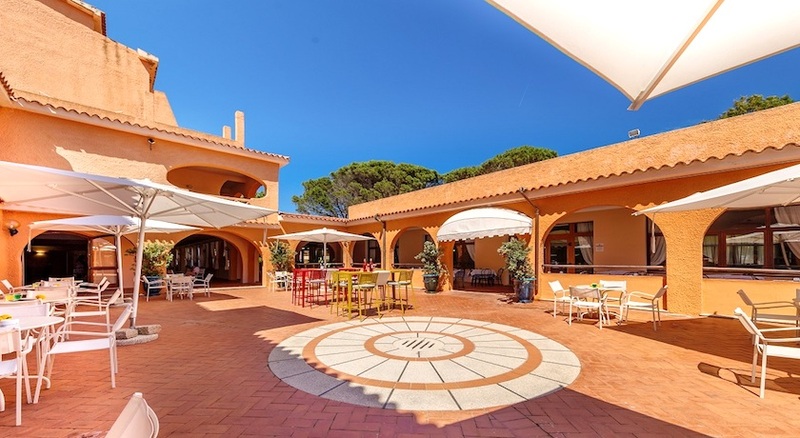 Part of the prestigious Blu Hotels family, the Laconia Village occupies a superb spot on Sardinia's northern coastline, just moments from the beach. Suited to couples and families alike, there's a wide range of facilities to enjoy - and the seasonal entertainment programme is a real highlight. 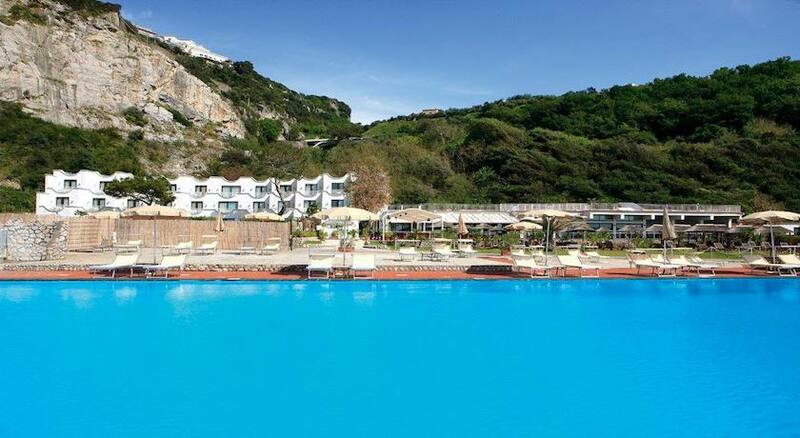 The hotel is approximately 170m from its own private beach. 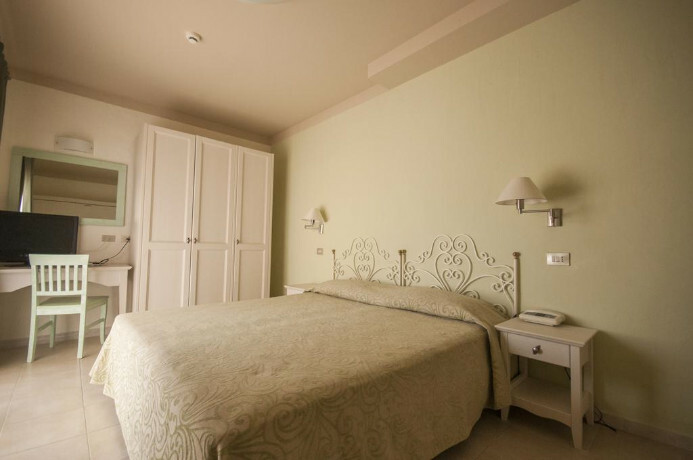 The hotel’s well-appointed Double Rooms are all air-conditioned, and feature an en-suite shower room. Further facilities include a satellite TV, hairdryer, free-to-use safe and telephone. 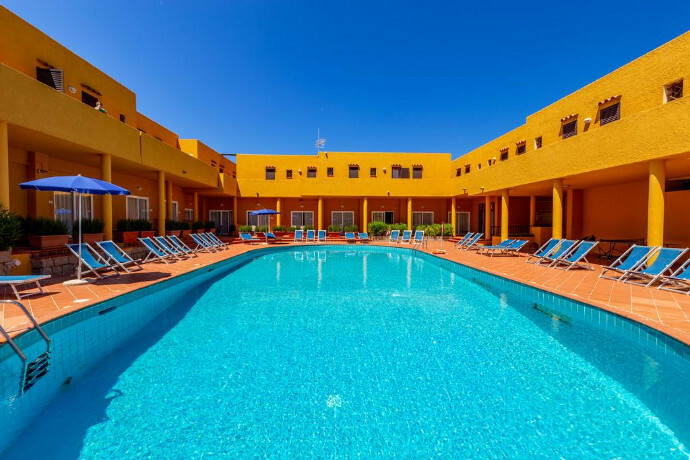 The central courtyard is home to a well-kept swimming pool, together with a separate children’s pool and a furnished sun terrace. There’s also a daily animation programme, followed by live piano music three evenings per week - and little ones aged 4-11 can check out the playground and mini-club. 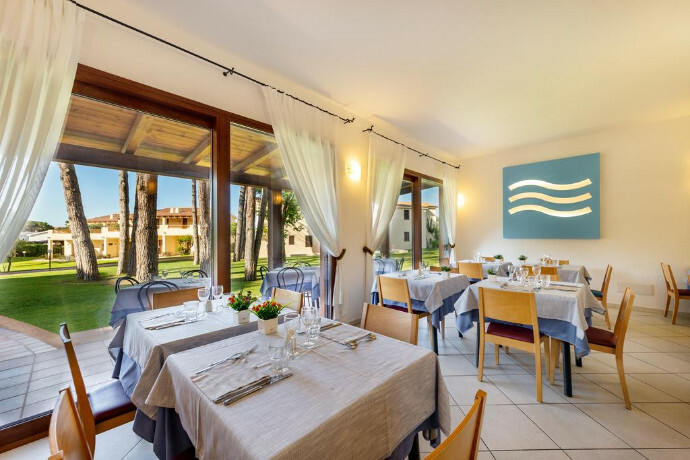 The colourful main restaurant is a great spot for a casual bite, with a range of buffet-style cuisine to enjoy. 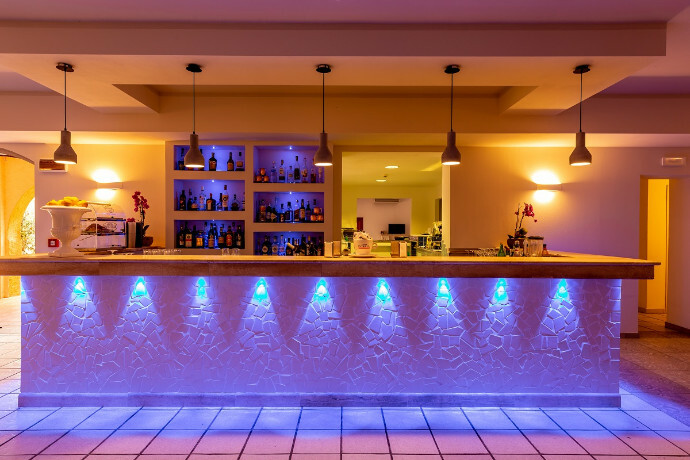 There’s also an indoor beverage bar, and a selection of local eateries can be found near the beachfront. Return transfers can be arranged at an additional £39 per person.